Metal (MTL) - Events, Price, Market Cap, Supply, Exchanges and more! 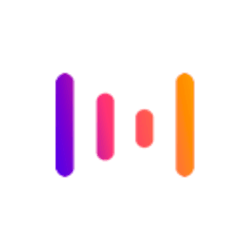 Metal aims to become the bridge between fiat currency and cryptocurrency by their proof of processed payment reward system to incentivize investing in cryptocurrencies in order to make cryptocurrencies more mainstream. Metal is an ERC20 utility token on the Ethereum blockchain with a proof of work consensus mechanism. Metal Crumbs for buying crypto with spare change (roundups) will have its full release in Q4 2018. 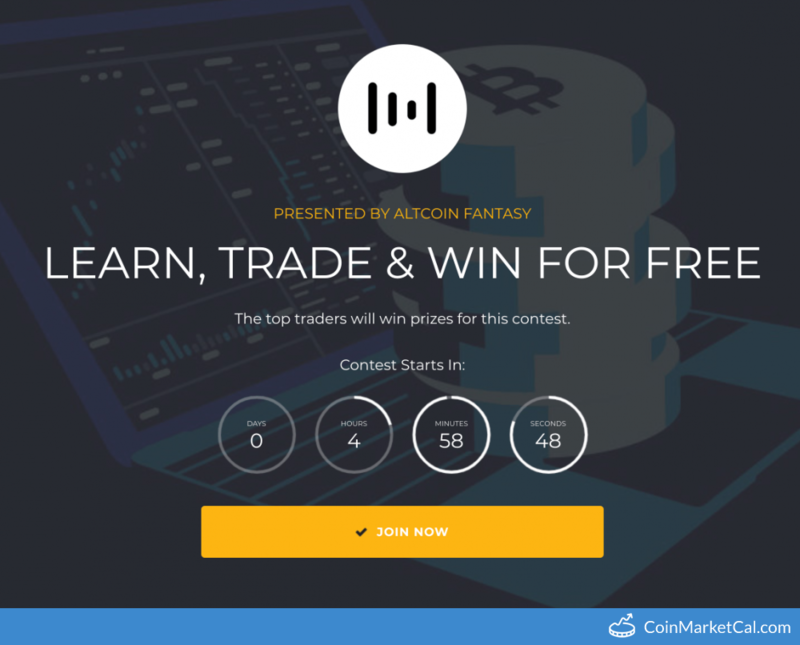 Metal and Altcoin Fantasy will host a free cryptocurrency trading contest where the winners will get MTL. Metal is giving away $690 USD. 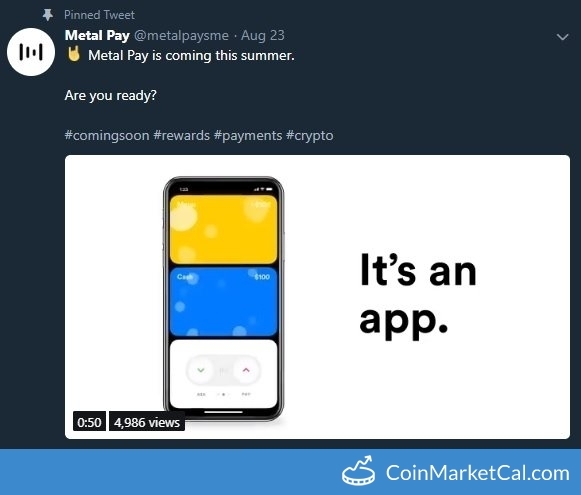 Metal's flagship product Metal Pay (send and receive money with up to 5% cash back) released before the summer ends. 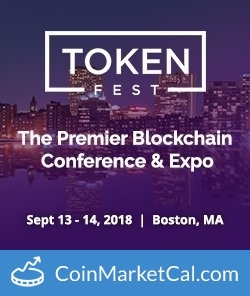 Token Fest is an exclusive, two day networking event focused on the business and technology of tokenization in Boston. Metal Crumbs (micro-investing app) will be available on the iOS app store on July 30th. 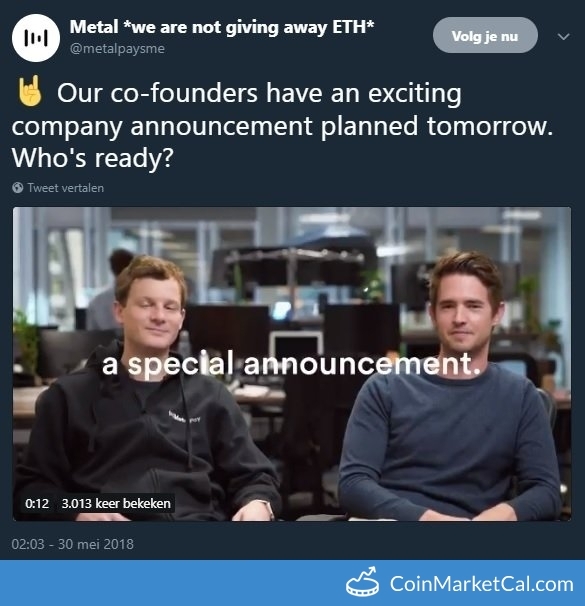 An important video announcement will be made on Twitter for Metal Pay. Release of Metal "Pay". 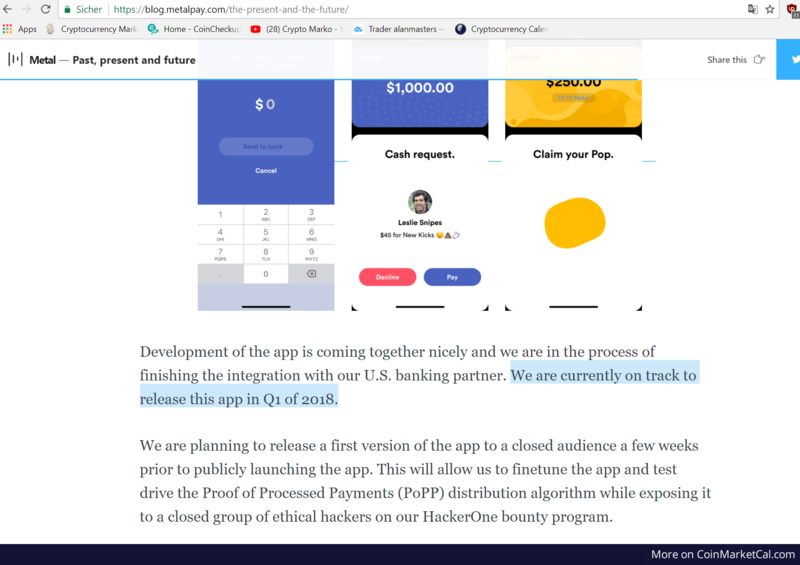 This app will allow our users to make payments with just a phone number while being rewarded to use the system. 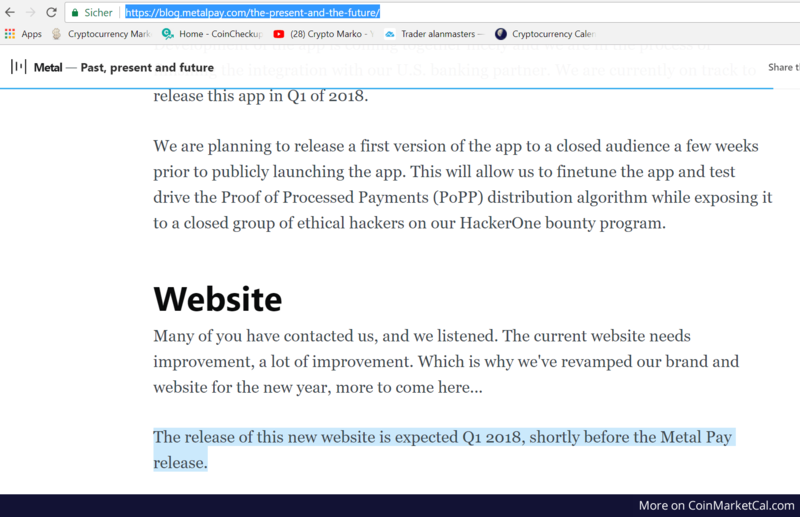 "The release of the new website is expected Q1 2018, shortly before the Metal Pay release."